The group met back in the Tresendar Manor cellar and Pippin showed them the two shortswords Halia Thornton had given him. Pippin repeated the story he had told Turenim about his meeting with Halia, adding that she raised some good points about distribution of magic, and mainly that they need to trust him more. He also agreed that he didn't completely trust her. With Pippin's agreement, Atilius cast identify on the swords. Turenim sought assurance that there would be no more violent outbursts, especially from Lee and Albrecht, towards Halia Thornton. After encountering some evasiveness, Turenim cast zone of truth, impacting everyone except Albrecht. Lee was whiny and conciliatory. Albrecht was resistant at first. Pippin mentioned that he hoped no one had any bad intentions towards Halia, because she indicated she would try to get him some magic armor. Eventually Albrecht conceded that there was no immediate threat to Halia. Hungry, Pippin and Moula went to eat at the Stonehill Inn. Lee went to pick berries in the woods outside the Manor. Turenim went to the Townmaster's Hall to speak with Sildar, and Atilius accompanied him. ‎Sildar arrived shortly and was eager to speak with Turenim. He explained that the residents of Phandalin had been without the services of a healer for some time and many were sorely in need of services, both physical and spiritual. In addition Sildar said he had received word from Gundren that they were having troubles in Wave Echo Cavern. Apparently the flaming skull had returned, and kept returning, no matter what they did, and it was killing miners. Turenim and Sildar also discussed the terms of taking over Tresendar Manor, and Turenim gave him one diamond worth 100 gold pieces for the initial tax payment. At Sildar's suggestion, Atilius left to gather the group together to discuss the news and get ready to return to Wave Echo Cavern. Meanwhile, Sildar accompanied Turenim around town, visiting those in need of services, and Turenim gladly spread the word and healing of Lathander. While Moula was with Pippin at the inn, Moula noticed someone obviously slip Pippin a note. She asked him about it, but he was dismissive. When she pressed him he said Halia wanted to remind him about something they had discussed, but that it wasn't important. Moula did not press things any further. Eventually Atilius arrived and told them to stay put while he gathered everyone else. When Atilius returned, he found Albrecht speaking to himself, with his sword drawn. It became apparent that Albrecht was distressed and that he was having an identity crisis. After a long talk, Atilius left to return to the inn. As he was leaving the cellar he heard a loud "BOOM!" as Albrecht cast thunderwave as powerfully as he could. Atilius left out of the tunnel into the forest and soon found Lee wandering there. Lee was clearly still morose, and Atilius tried to console him, telling Lee that he actions were not his fault and that he acted as any parent would. After their talk, the two of them returned to the inn. When they got to the inn, Turenim was already there. Atilius warned everyone about Albrecht's condition. Turenim was immediately concerned that Albrecht would go after Halia, but Atilius assured him that was not the case, and that his concern was more that Albrecht might be self-destructive. Together they all went back to the cellar. Turenim spoke with Albrecht for a while and consoled him, guiding him towards a righteous path. They spoke of the meaning of life and death, and of good and evil. Eventually Turenim convinced Albrecht to take part in an atonement ceremony. It took an hour, but afterward, Albrecht felt renewed, as was his faith in the goodness of humanity. While the ceremony was taking place Pippin left and went to visit Halia. Pippin left Halia and returned to the cellar before the ceremony had completed. The trip to Wave Echo Cavern was uneventful. As they approached the area Lee noticed that there was movement in the area. Moving on, they saw dwarfs positioned advantageously throughout the peaks. A pair greeted them and directed them to continue. Inside they saw constant activity as mostly dwarfs along with some humans went about their work. There were many ladders and pulley systems leading down to rift to the collapsed chamber below. They saw a lot of work was being done to try to reopen the original entrance to the mine. Many dwarfs were also working around the collapsed cavern by the old stream bed. They met Gundren in the Temple of Dumathoin. He was happy to see them and explained that they had been there for days when this flaming skull arrived from the lake. More dwarfs were arriving every day, but they still weren't completely operational and couldn't get the blast furnace, bellows, and waterwheel working. Meanwhile, many dwarfs had died trying to destroy the flaming skull, but it just kept coming back. He told them they had sent crews out onto the lake to see where it, or they, came from. Some reported seeing an island in the lake, but none who visited the island returned. Turenim assured Gundren that they had a plan and would be able to destroy it for good. 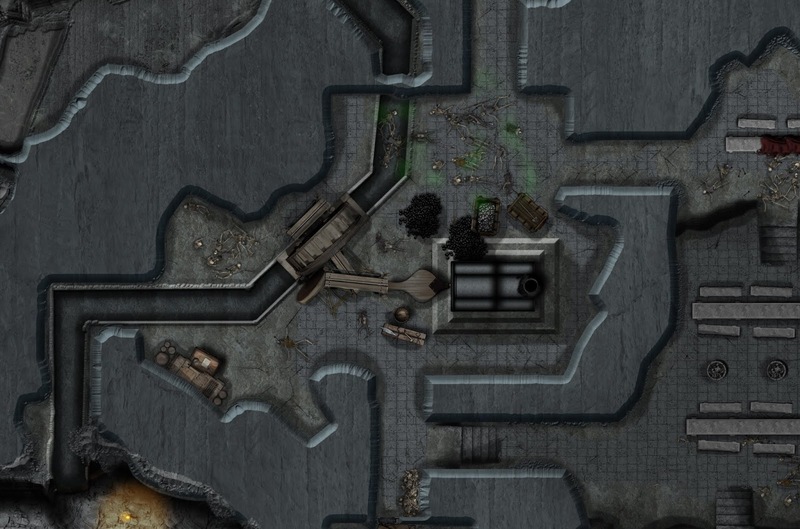 They surrounded the smelter cavern. Moula and Pippin went around the collapsed stream bed, skirting the ledge of the lake and positioned themselves in the hallway from the starry cavern. Albrecht went around to the hallway from the south with Lee hanging behind him in the great cavern. Turenim was in the hallway near the barracks, and Atilius was in the great cavern so that he could see both Turenim and Lee. Albrecht entered the cavern first, ready to use vicious mockery. Moula and Pippin entered right after him, hoping to distract the flameskull. 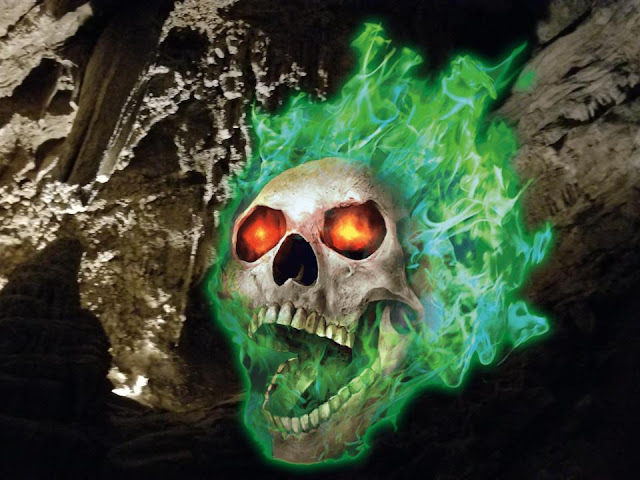 But there was no sign of the flameskull. Confused, they started looking around, when it flew up from out of the channel and cast a fireball their way. All three of them scattered back into the hallway, avoiding most of the blast. Then Turenim emerged and cast banishment on the magical undead thing. There was "pop" and then it was gone. Turenim maintained his concentration a bit longer. Gundren emerged from behind Turenim, where he had been watching. He was delighted that the creature had been destroyed. After the group were bandaged and recovered, Gundren asked them if they could clear out the fungi to the south, which was poisonous. They all agreed that they would use fireballs of their own to take care of the fungi. With the rest of the group behind him, Atilius entered from the north and cast fireball, knowing that it would take at least two of them to burn away all of the fungus. The fungus was scorched and destroyed, but Atilius immediately felt the grasp of two long tendrils that had whipped out from around the north-west corner. The tendrils surrounded him, and crushed the life out of him as they roped him into the cavern towards a gaping maw of teeth. Albrecht jumped forward to help Atilius, but was immediately grasped by two tendrils from the south east. He cut through one of the grasping tendrils with his rapier. 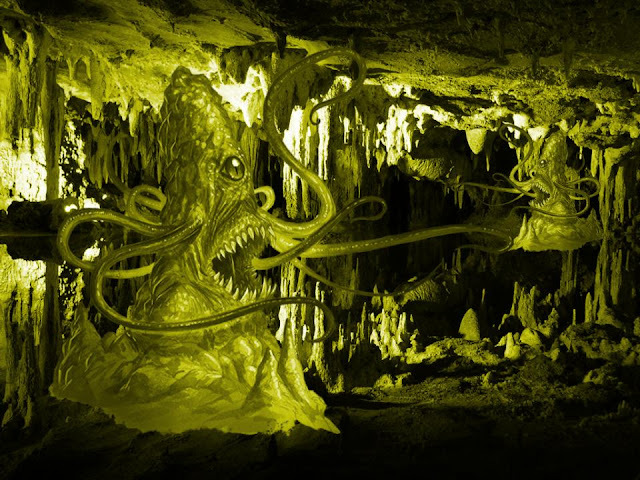 Lee fired his arrows into the stalactite looking monstrosity to south east, while Moula ran in and smashed through one of the tendrils grasping Atilius with her staff. Turenim cast life transference, using his own life force to revive Atilius. Albrecht cast healing word on himself as he was dragged closer to the roper's maw. Moula smashed through the second tendril, freeing Atilius, who shouted for everyone to retreat as he cast storm sphere on the monstrosity. Moula and Pippin backed up, but Pippin was hit hard by a swiping tendril. Pippin backed up into the hallway and fired his shortbow at the the south-east roper. Turenim cast spiritual weapon, and cast bless on Atilius, Turenim, and Pippin. 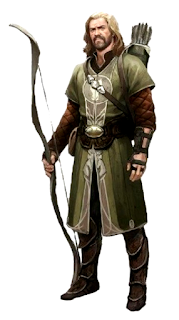 Free from the tendrils, Albrecht ran out of the cavern and lent bardic inspiration to Lee, who continued to sink his arrows into the far monstrosity. Atilius cast scorching ray on the same one. Seeing it was in bad shape, Moula ran up to it and hacked at it with her kicks, chopping it down like a woodsman chops down a tree with an ax. Meanwhile Turenim cast cure wounds on Pippin. Lee stepped into the cavern and turned his longbow to the north-west roper, and it smashed him down with its massive tendril. Moula rushed up and beat it with her staff. Atilius hit it with a scorching ray. Turenim cast preserve life, reviving Lee, and healing Atilius and Pippin. Lee and Moula began coughing as they were engulfed in a could of noxious fumes from the fungi in the south-east, but Albrecht managed to avoid the effects. Lee drew Talon and smashed into the remain roper, and a magic missile from Atilius finished it off. With the threat removed, Atilius used his remaining fireballs to eliminate the rest of the poisonous fungi. Gundren was grateful once more, and prepared a secure and comfortable room for them to rest for the night, so they would be fresh in the morning to explore the island in the lake.